Kitchen exhaust cleaning is a mandated fire prevention service that should be taken very seriously. For a very long time commercial kitchen operations, have unknowingly hired inferior technicians. You see the industry was unregulated, there was an authority which trained and certified technicians. However it was not a mandated criteria for hood cleaning companies to perform the service. Unfortunately in many parts of the country these unfortunate situations still remain. But in many states such as Massachusetts, Those days are long over. These laws are now being enforced under strict penalties for both commercial cooking facilities, and hood cleaning companies. Certified companies now required to perform kitchen exhaust system cleanings at set scheduled intervals. 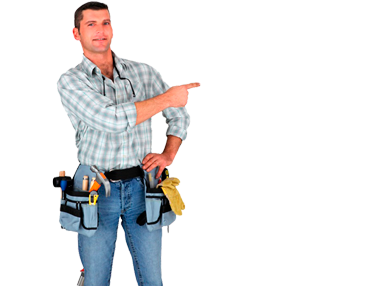 A certified technician is required to be at the job site for the duration of job. The commercial cooking establishment is responsible for housing kitchen exhaust system cleaned by a certified hood cleaning company at the scheduled intervals. The certified technicians have a much greater liability and responsibility. We are required to clean your kitchen exhaust systems in compliance with the NFPA 96 codes and standards. hood cleaning. If certified technicians fail to clean your exhaust system by the definition of the standards. When the system inspected and it will be inspected we risk losing their license. You must be wondering, why this became such an issue. Well I'll tell you, it was a horrible fire in West Roxbury. A Chinese restaurant went ablaze in the fire fireman died. The families of these brave men demanded something was done, the mayor of Boston answered the cries. Mayor Menino, decided the best course of action was to put liability on commercial cooking establishment owners and clean on the heads and shoulders technicians performed work. Personally I think made the decision. IKECA is the major authority of certification and regulation in the hood cleaning industry. They started out a very small organization with one small-office located in Maryland, I was there once a small-office. Today they still run out about small-office, however they are not small organization. Teaming up with the NFPA they have contacted fire marshals all across the country, with the main goal of regulating the industry across the nation and even further abroad. Remember not every hood cleaner is created equal. Certification is important it measures a hood cleaning technician's worth and knowledge in the field. You need to hire a technician who truly knows what it is they are doing in order to avoid costly problems down the road.